KHOTANG, Nov 9: Two houses burn to ashes and three were damaged after fire broke out at Diktel, Khotang on Friday. Houses belonging to Krishna Shrestha and Ambika Budhathoki of Diktel Rupakot Majhuwagadhi municipality-1 have been completely destroyed in the incident. Also the houses of Raju Shrestha , Rabidhoj Rai and Pele Gurung were damaged in the incident. Fire was triggered from the house of Ambika Budhathoki at around 3 am. The fire was brought under control after three hours of struggle by the joint efforts of the Nepali Army, Nepali Police, and Armed Police Force assisted by locals. 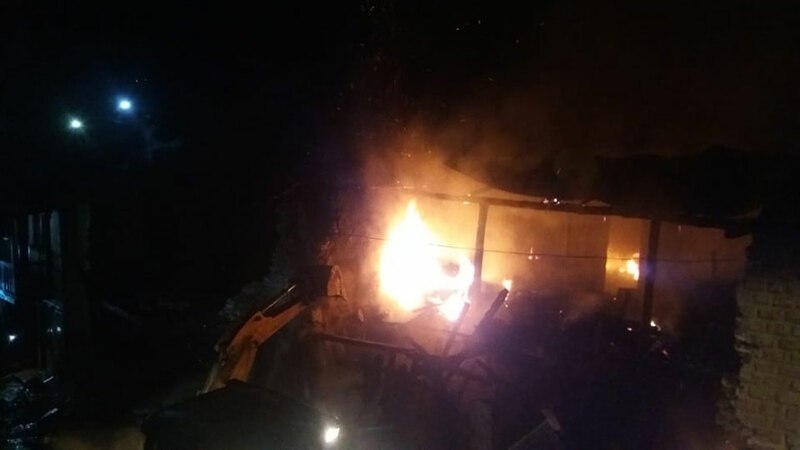 Three houses were demolished by the excavator to bring fire under control stated DSP Raj Kumar K.C of District Police Office, Khotang. Property worth Rs 10 million was destroyed due to fire.